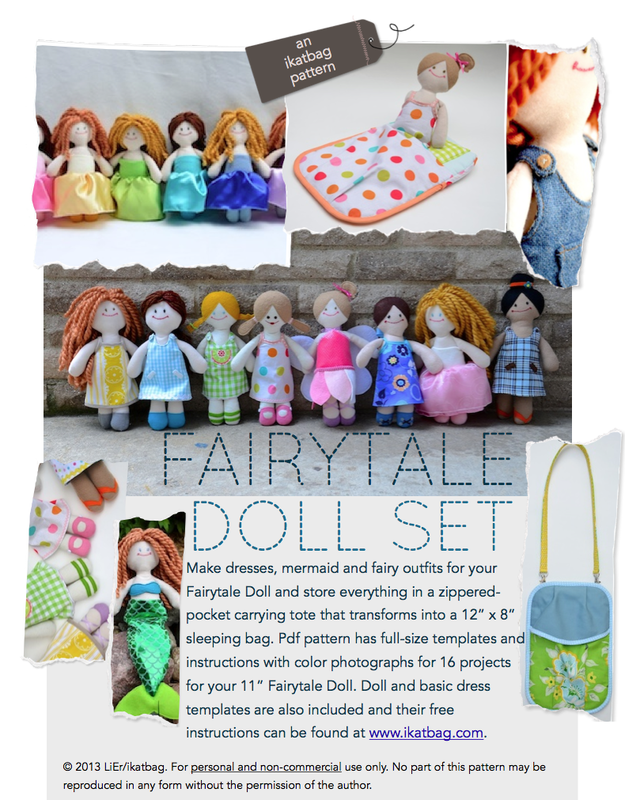 ikat bag: The Fairytale Doll Set Pattern Is (Finally) Here! Before I say anything else, let me thank Grandma G for her hard work that is the mammoth task of testing an ikatbag pattern. She plugged away at it, in spite of all the stuff happening at home, and kept her sense of humor, besides. If you are familiar with her workmanship and attention to detail, you will understand when I say that she is worth more than a whole army of garden-variety pattern testers. She is rigorous and no-nonsense about getting things to work right in a pattern. I am sooooooooo thankful she's on my team! When you are working -both writing and testing - a pattern as labor-intensive and huge as this, there is always a higher-than-usual tendency to procrastinate. So, in addition to her assiduous work, I also credit her for (gently) sticking virtual pins in my behind to keep me going. Finally, I credit God for sending sunshine during the absolute coldest week (so far, I mean) of the year, without which I would've just curled up in bed, grouched, not emerged until spring and neglected all domestic duties and social interactions, not to mention pattern-writing. They say Minnesota winters are not for cowards, but I say even uncowards have their limits, you know? And it isn't even January yet. So. . . thank God for sunshine. It is a digital pdf file. It is not a paper pattern. It will come in your EMAIL, not your postbox. It is an instant download. When the email with the download comes in your email inbox, DO NOT CLICK ON IT UNTIL YOU ARE AT A COMPUTER WHERE YOU CAN SAVE FILES. This means DO NOT OPEN IT ON YOUR iPhones, iPads or iPods UNLESS you know that your mobile device(s) has(have) file-saving capabilities. No doubt some of you might still experience download problems, in spite of your -and my -best efforts to take all the necessary precautions. Don't panic - just email me and we will sort it out. This pattern is an add-on/expansion pack to the Basic Doll and her Basic Dress. Both the doll and dress templates are included in this pattern for your convenience, but the instructions to make them aren't - you should still go to my tutorials for them here and here. The projects in this pattern range from quick and simple (e.g. the mermaid tail) to more time-intensive and elaborate (the convertible sleeping bag/tote). I have included detailed instructions for any techniques I felt would benefit beginning seamstresses (e.g. installing a zipper, binding with bias tape, making a box pleat), but it is still a pattern intended for use by folks with some familiarity with a sewing machine. I have tried to streamline the construction methods and sequences to the very easiest possible, but doll clothes are small clothes, with small circumferences that require more patience to manipulate under the presser foot than, say, human clothes or flat tote bags. My honest opinion is that it isn't so much about sewing skill level as your adeptness at using your machine to sew a simple straight line in a smaller space. I hope you enjoy making all the fun projects in the pattern! Thank you all for your patience, interest and encouragement as you waited for me to get this ready for you. Grandma G has been documenting her pattern-testing experience (and its beautiful outcomes) on her blog. The first installments are here, here and here. There are more posts to come as she takes photos and blogs them, so follow along for her updates! 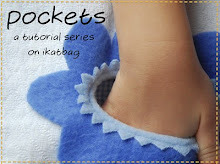 Here is the direct link to read more about the pattern and to purchase it. 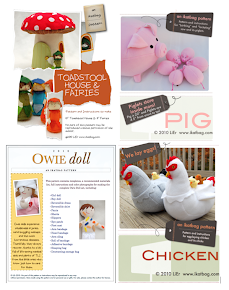 You can also buy it (and other patterns) directly from the Patterns For Sale page under my blog banner. In the following days, I'm planning to share preview shots of the Adventure Doll Set that I'm (slowly) sewing for the kids. This is the one some of you - the ones with sons, in particular - were asking about. The sketches were done long ago so everything is all there, ready to be turned into fabric and wood. Whoo! But first . . . Christmas shopping. And -when shopping fails- Christmas making. What an incredible pattern! I have an all-cut-out owie doll for Anna that needs finishings by Christmas. Can't wait to see your adventure doll set! This is fantastic! We're neck-deep in the mermaid phase right now with both girls. Barbie, Ariel...whoever has a tail, she's played by my girls. I haven't sewn anything worth mentioning in years (maybe ever?!) but I can't wait to do this! My plan is to sew 3 sets: one of each of my girls and one for our sponsor child in Uganda. Thank you!! LiEr, wonderful work again! The mermaid tail kills me. Every doll needs a mermaid tail, for sure. I'm excited to start working on these this weekend. I promised someone I'd make a sugarplum fairy and I really want to switch over to yarn hair. Hopefully my daughter will let me donate a few dolls to her daycare since I'm addicted to making them! Adventure Doll sounds cool. I hope you include peg legs for the pirates for lost boys to fight! Conveniently, I have a Joann trip planned for tomorrow. My shopping list has just expanded!